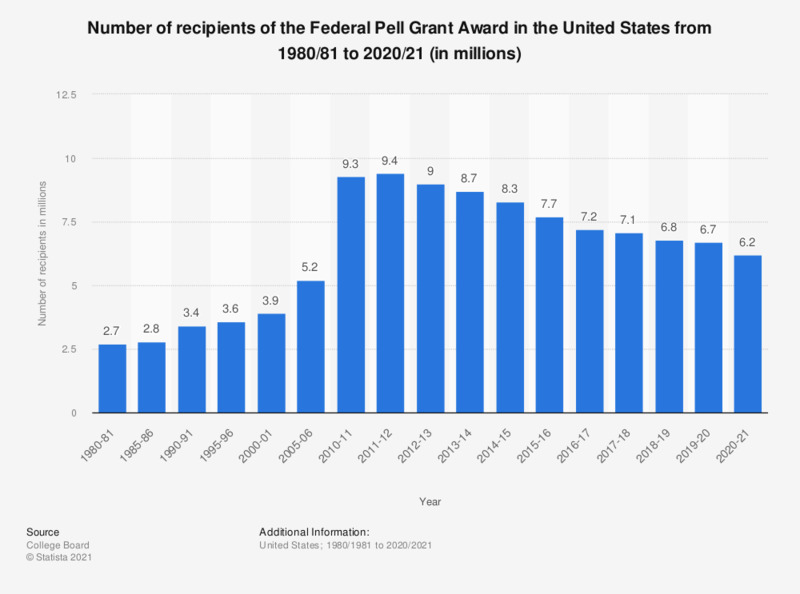 This statistic shows the average number of recipients in millions, of Federal Pell Grant Awards in the United States from 1980 to 2018. In the 1980/81 academic year there were 2.7 million recipients. By the academic year 2017/18 , the number of recipients had increased to 7 million. The Federal Pell Grant Program provides need-based grants to low-income undergraduate and certain post-baccalaureate students to promote access to postsecondary education. Detail time series data can be found here.